Hot dry weather was the bonus for the over 50 riders who took on the 70km course of the 2019 Maramarua Vinduro. 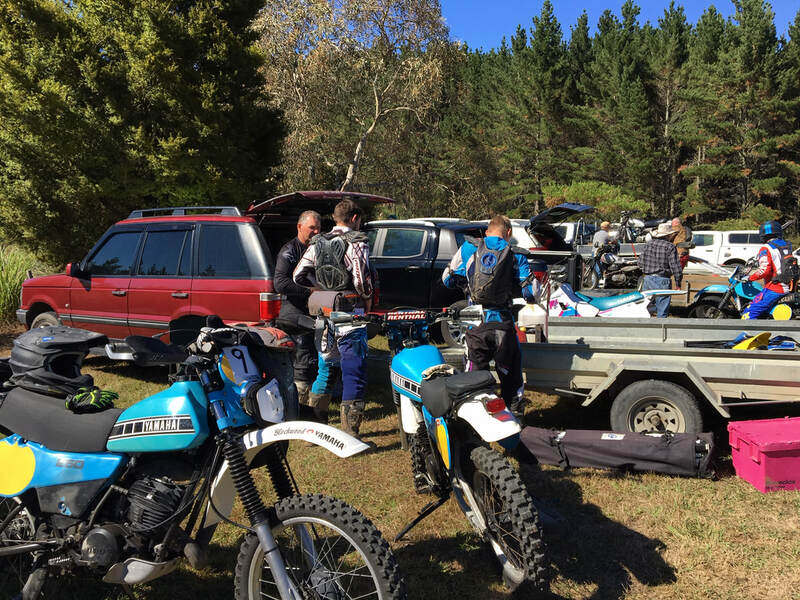 Virtual drought conditions in the Waikato were threatening the event but a little rain the weekend before the event meant that Power Adventures could sneak the Classic through before conditions racked down again. The course was as a result rock hard with the one puddle in the entire ride created by a leaking water pipe near the start. All Vinduro classes except the Vintage 4 speeders were represented with bikes from the seventies to the nineties, the oldest bike being Ross Large's 1972 Suzuki TS400. Two course options were provided. The Gold course had few harder terrain choices while the Silver course was a little easier and shorter. No riders were caught out on time again this year thanks to the dry conditions, though there were a handful of breakdowns, very few however it must be said when the average age of the bikes deing over three decades. One again Greg Power and Power Adventures put on a great Vinduro event ably supported by John and Jane Rushworth of Silver Bullet event scoring. 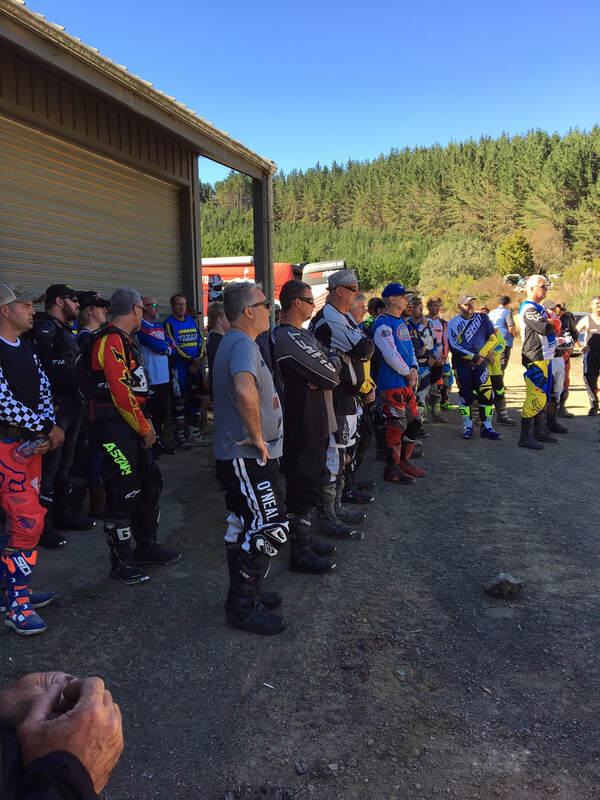 After a long summer with very little rain and the imminent closure of forests due to extreme fire risk, fifty riders were lucky to attend Round 4 of the NZ Vinduro series run by Greg Power of Power Adventures at Maramarua forest on 2nd March. And hot, hard and fast would be the way to describe this year’s event. With 26C plus during most of the day and extremely hard ground conditions, riders were treated to fast and flowing conditions making it necessary to stay well hydrated throughout the day. Silver riders were treated to a 51km course comprising three sections while the Gold riders were treated to 73kms over four sections. For the Gold riders the dry conditions meant that some of the steeper terrain of Maramarua could be used including some new trails that have been opened up with recent harvesting activities – this all made for an interesting, diverse and challenging ride which kept riders on the ball. Section two was 22 km long which reached across to the full extremities of the both the north and eastern side of the forest. The longer course and a 24 kph speed average meant that riders had to maintain concentration and for the Gold and Silver riders to take the appropriate splits in the track. For the Gold riders the splits either involved steep climbs or declines. While both were achievable maintaining a good line was essential as a failure to do so would result in riders either coming to a halt, being sent over the bars or being deflected into the scrub on the side of the track. While a longer section, the terrain was generally quite open and enabled the riders to really push the bikes along where possible. 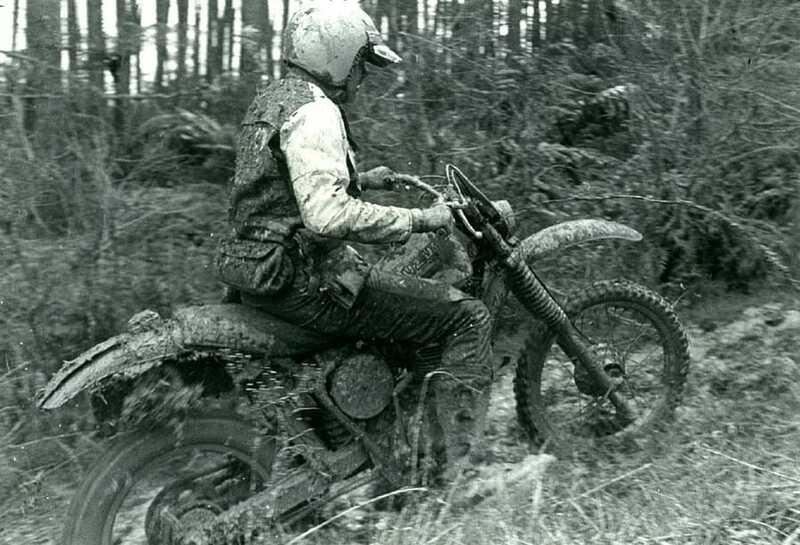 In fact failure to do so meant that you were unlikely to make the check on time as the last quarter of the section was tight clearfell which significantly dropped riding speeds. Section three was a clever blend of section one and two. While it was slightly shorter at 13km it combined as the second terrain test both the maze of section one and the clearfell of section two. This was a great test for riders and again favoured those who had great throttle control and riding technique. At the conclusion of section three the Silver riders were able to retire while the Gold riders went out and completed section four – which was a repeat of section 2. To really put the pressure on though the speed average was lifted a notch from 24kph to 30kph meaning that there was really no time to dawdle, make an error or experience a maintence issue – it was WFO all the way and a real blast. But again most Gold riders were up to the challenge and were able to clear the section with a few minutes up their sleeve. As the last riders trickled in, the results were rapidly calculated by John and Jane Rushworth of Silverbullet Events. 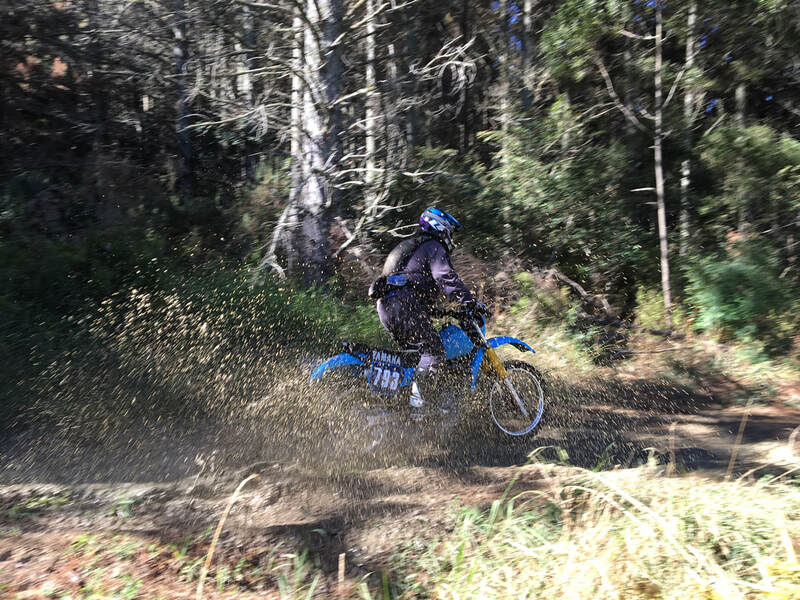 In the Gold Class overall, ex NZ enduro champion Dean Humphrey from Pauanui displayed that he has lost none of skills and took a commanding lead on a PE 175 T. Dean was followed by Kian Scherer on an IT 175 and Peter Scherer on an IT 250. In the Silver Class, Warkworth rider Kerry Jones on an XR 250R took out the overall win followed closely by Tup Moyes on an RM 125. Third place overall was David Vass on an early model XL 250 Motosport who demonstrated impressive speed throughout the day. Andrew Robertson (TE 185) and Barry Moody (XL 250) are only ten points apart in the classic class meaning that the best rider on the day is likely to take out the series. Noting that both riders will be riding their bikes in the VMX final the the day before the enduro at Atiamuri it may simply come down to bike reliability and fitness on the day. In the Evo 1 class Bevan Holmes has a commanding lead on a PE 400T and is likely to be able to hold onto his position despite Peter Scherer on an IT 250 snapping at his heals. The Evo 2 class is another one which will go down to the wire with Peter Lambert (IT 200) holding only a slight points lead over Craig Stevens on a KDX 200. The Evo 3 class is shaping up for a clear win by Adam Pogson on YZ 125 who has ridden very consistently over the series however it is hard to know how things will roll at Atiamuri and if Dave Demster on an IT 200 in second place will be able to close the gap. In the Modern Class Sam Helmore riding an RMX 250 is holding the points lead over Ryan Scherer on WR 250. Ryan is probably the faster rider but Sam has earnt his current place with consistent performances throughout the series. In the Silver classes riders have almost locked down their series results already and the final at Atiamuri will mainly serve to confirm their current positions on the leader table. At this stage David Vass riding an XL 250 motorsport has an unassailable lead in the Classic class over Ross Large on a TS 400. Ross however is showing more speed on his bike as he is getting it better set up and is likely to be a strong contender for the next series. In the Evo1 class Neil Armstrong on an XR 200 and Tup Moyes on an RM 125 are running head to head with only 10 points between them so the final round may well be the decider. The same cannot be said in the Evo 2 class with Ross Drummond on an XR 200 holding a large points lead over second place contender Paul Head also on an XR 200. Likewise in the Evo 3 class with David Hayes on a TT350 holding a good points lead over Don Pogson on an XR 350. And in the Modern class Wellington rider Perry Hunt on a KDX 200 is holding a significant lead over Alex Ohara on a WR 200.